Home > PR&News > Elbit System’s augmented reality smartglasses spin off, Everysight, announces an exclusive test pilot program for cyclists. HAIFA, ISRAEL – December 7, 2016 – Today, Everysight, an augmented reality (AR) company, announces its Raptor AR smart glasses enters final development and registration for its exclusive Test Pilot Program launches. 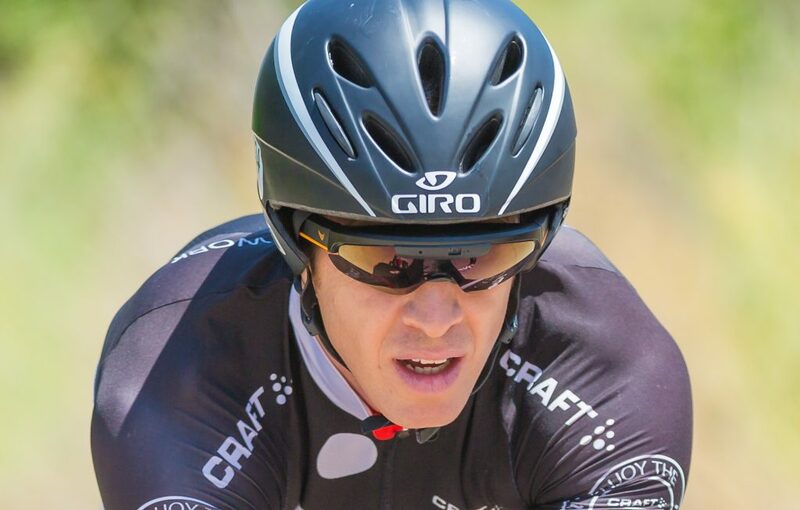 Raptor AR smart glasses provide cyclists and triathletes with a competitive advantage to boost their training, improve their race day performance, and safely enhance their fitness and health. Everysight’s patented BEAM™ technology gives the Raptor smartglasses a true AR experience using a transparent see-through display that overlays sharp, high-resolution information into the user’s line of sight. The information appears as a projection out in front of the user rather than delivering information with an object or element located around the eye area that obscures the rider’s vision, like other competitive products. The on-lens projection displays real-time information such as turn-by- turn navigation, time, distance, speed, heart rate, cadence and power, while reducing eyestrain and keeping a rider’s vision clear. Riders may choose to use a controller located on their handlebars, voice command or a simple swipe and touch pad located on the temples of the Raptor to control functions including maps, volume, brightness, communication and more. A look-and- shoot camera captures high definition video that can be uploaded and analyzed post-ride. Videos can also be shared with friends and followers through any social media channel. The Raptor pairs with external sensors to capture additional data. All captured information (heart rate, cadence, speed, power, etc.) uploads to Raptor’s companion app (Android and iOS), and can be shared through social media channels or synced to popular third-party fitness and cycling apps. &quot;As a cycling coach the ability to have all your metrics in front of you without having to take your eyes off the road is incredible…looking straight through the data, it&#39;s amazing and it&#39;s so much safer and clearly the future of cycling,&quot; said Simon Kessler, former professional road racing cyclist, and coach at Simon Says Cycling in Florida. &quot;When I am out doing the intervals and having the numbers just up in front of me, I am not having to look down, I am able to keep up a nice consistent power, and as far as safety the more I can keep my eyes on the road and not look down at my computer the safer it is,&quot; said Dana Williams, former member of the Canadian Alpine Ski Team, cat 1 road racing cyclist, National road Champion and coach at Achieve Training and Coaching in California. &quot;If you loaded your route and you’re on the route the glasses will tell you when turns are coming up, either left or right turns, so you can anticipate where the turns are. You can also see the altitude and profile of the ride in the glasses so it&#39;s super convenient, super handy&quot; said Kyle Welch current member of Team USA, reigning ITU age group short course world champion, ranked 1st in Ironman 70.3 world rankings in his division in 2016. Everysight’s heritage stems from Elbit Systems (NASDAQ and TASE: ESLT), the largest Israeli defense technology contractor in the world and the market leader in advanced fighter jet helmet mounted display and vision systems. The Everysight team embarked on a mission to revolutionize the way consumers see and experience information from the world around them. “We have spent the last decade perfecting a fighter jet pilot-like helmet-display system complete with augmented reality, but housed in a lightweight and sleek form factor that consumers can easily use. Currently we have early beta testers around the world using the product and providing real-world situation feedback. Based on their feedback and our internal testing we are fine tuning what will be a perfectly balanced performance companion that minimizes eyestrain, provides real-time information, and keeps an athlete’s eyes focused on the road ahead,” said Ashkenazi. To learn more about Everysight, Raptor AR smartglasses and to sign-up for the Test Pilot Program, please visit www.everysight.com. Everysight is a consumer augmented reality company spun out of Elbit Systems – the largest defense technology company in Israel and the market leader in advanced fighter jet and rotary wing helmet mounted display systems – and backed by external investors. Everysight is revolutionizing the way people see and experience information. With decades developing vision systems and heads up displays, the Everysight team is bringing its cutting-edge experience to the field of wearable technology. Learn more at www.everysight.com or engage with Everysight on Facebook, Twitter and YouTube.